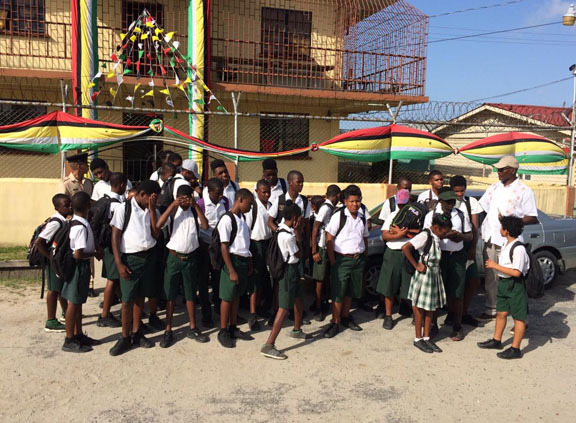 On March 5, last, Assistant Superintendent Kevin Das and Inspector Abbigail Ali along with other ranks from the Brickdam Police Station hosted a tour of the Juvenile Holding Centre. According to the police, participating were students of the St. George’s High School. A total of 34 students from the various grades within the school were given the opportunity to tour in and around the building and to observe the various areas including the dormitory, cells, sanitation block, and the classrooms. 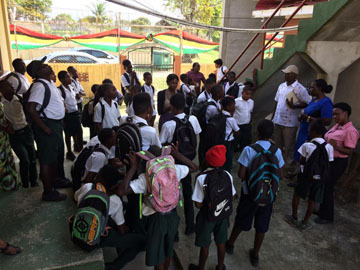 The tour was conducted with the aim that the students may become knowledgeable as to what may happen to someone who chooses to become a ‘recalcitrant’. They also had the opportunity to ask questions about sleeping conditions and the absence of television. According to the police, the visit was to encourage change, and to build self-esteem. The intervention is one of many conducted within ‘A’ Division, which covers the city and environs, with the aim of reducing youth crime and making communities safer.